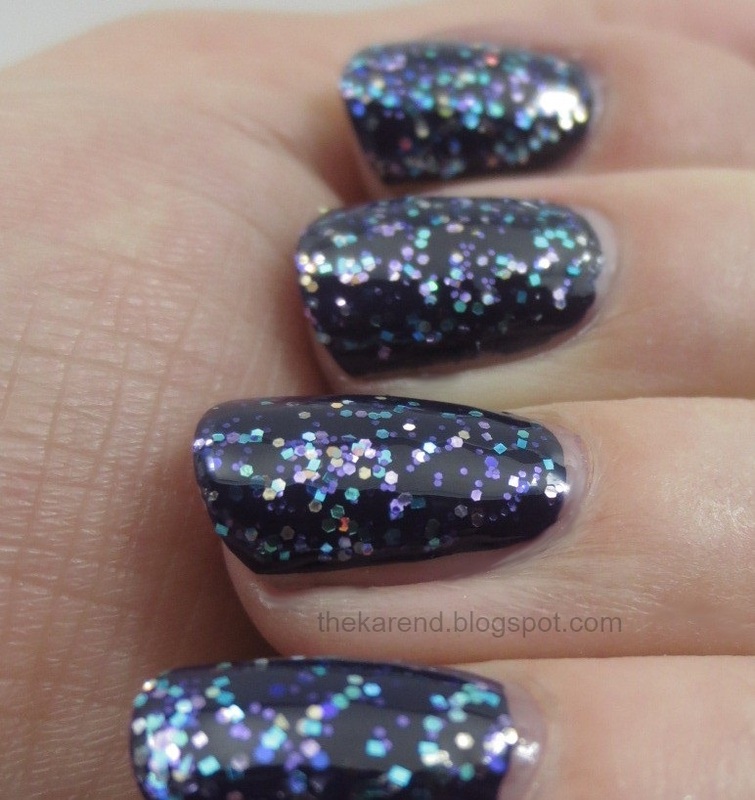 A while back, Alessandro sent a bottle of polish for me to review in Blue Nuit, a navy blue creme. It's quite pigmented; I used only one coat for these swatches. After I had the color on, I really wished I'd used a base coat so the imperfections in my nail surface would be more camouflaged (I generally don't use base when swatching since when I do have block of time to swatch, I don't want to waste it trying things I already know about, like bases), so I added topcoat to smooth things over (a second coat of Blue Nuit would have done the same, but I wanted you all to see how good coverage was with one coat). In most lighting conditions, Blue Nuit does look blue—very dark blue, but blue, not black, which I appreciate. In very subdued lighting, it is pretty indistinguishable from black, but in those conditions, there's probably something else going on to distract you from your nails, like a movie or impending sleep. I then added a second coat of F'ing Classy and some topcoat (because at this point I had glitter piled on top of glitter). Saying I liked this would be understating it by quite a lot. I wanted to abandon the rest of my plans for the swatching session and try F'ing Classy over about a billion more colors; maybe someday I'll schedule that in. I haven't seen Alessandro in any stores around me yet, but they can be purchased from the Alessandro International website for $9.50 per 10 ml bottle. 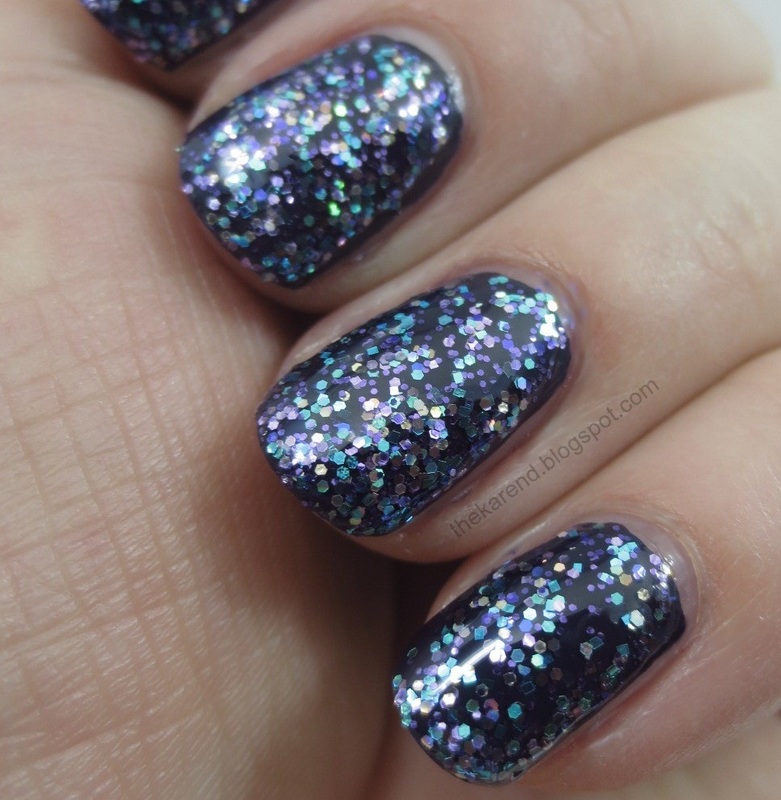 You can get F'ing Classy and other fun glitters from the Polish Revolution Etsy shop for $10 per 15 ml bottle. The Alessandro polish shown in this entry was provided free for review purposes. The content of the entry was not dictated by the provider, and I get to keep the polish for my own use. I purchased the Polish Revolution color. Gorgeous combo! I recently got three polishes from Polish Revolution, my first from the brand, and they are awesome! Now I want a few from their new collection. Oh my. Pretty blue and awesome that it is a one coater. I have never seen the brand in person though which is kinda sad. F'ing Classy is F'ing awesome!!!! 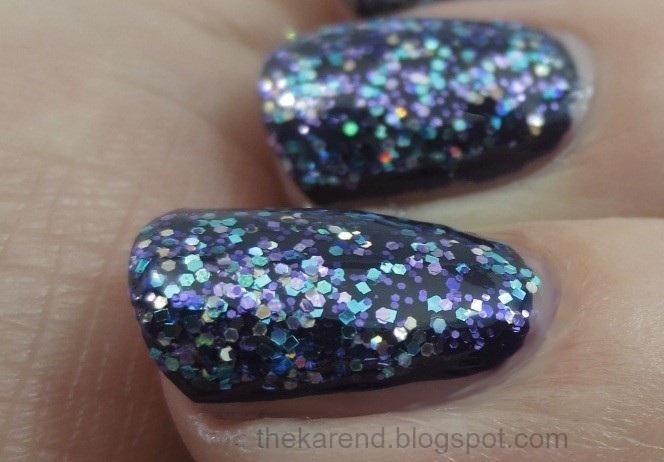 I love this color with and without the glitter (: great post! Gorgeous! I love that you added F'ing Classy to it!